Sisters Book Club is a book club my sister and I accidentally started earlier this year. We enjoyed reading our first book selection together so much, we’ve decided to invite others to read along with us. If you’d like to join us in reading Sisterland, the July selection for the Sisters Book Club, check out this post. 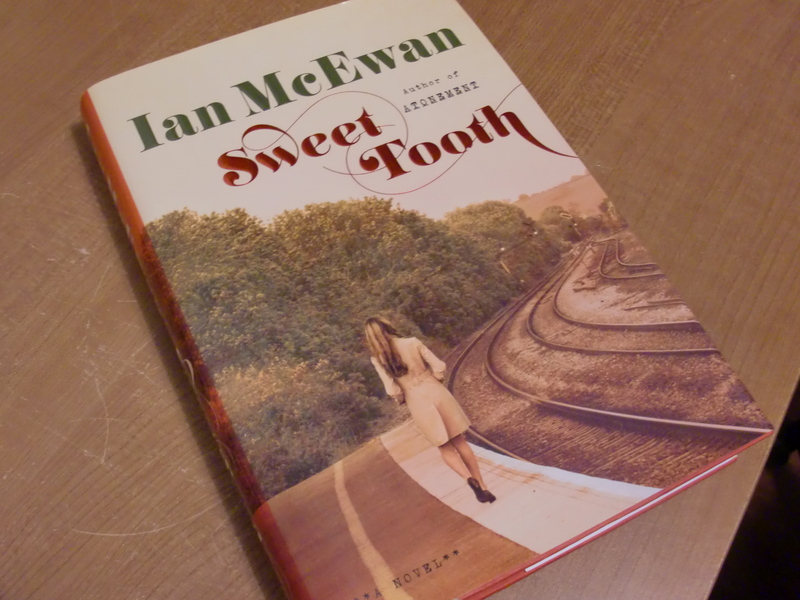 Sweet Tooth is the latest novel from Ian McEwan, who also penned Atonement and Saturday, among many others. It’s written from the point of view of Serena Frome, a young woman who is recruited into the MI5 out of college. The plot takes us through some of the unexpected places that job takes her. My sister and I read Sweet Tooth pretty quickly, but it’s taken us a while to put together our joint book review. 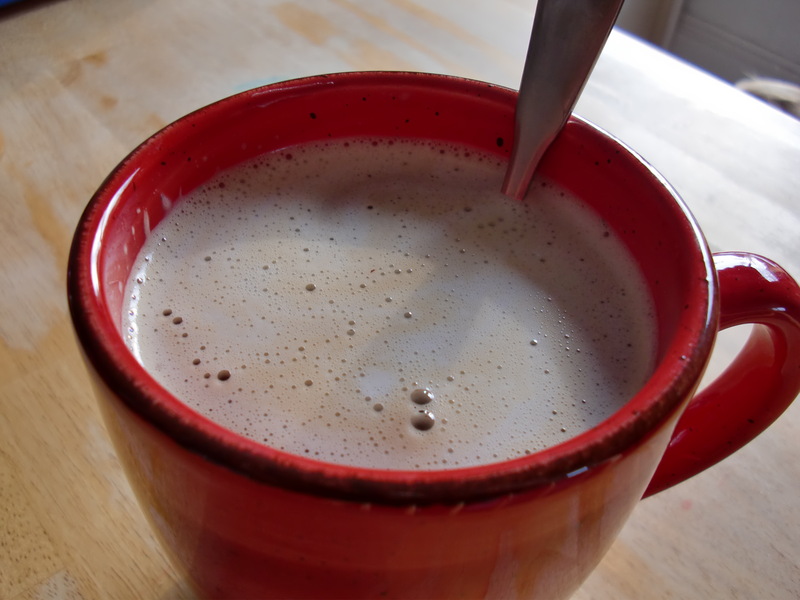 It’s possible we’ll streamline the process as we get more experience with this kind of thing. It’s also possible it will stay just as clunky and inefficient. You just never know with us. Gabby: I happened to be listening to NPR on a long drive shortly before the winter holidays and heard the following interview with McEwan about Sweet Tooth: Ian McEwan’s Sweet Tooth Pits Spy vs Scribe. Having recently returned from visiting several British friends, I was already intrigued by the culture in general, and coupled with my like of McEwan (as well as a need for Christmas gift ideas!) it seemed like a great choice to kick off a Sisters Book Club. So I recruited my favorite female sibling, and here we are. I had read a couple of Ian McEwan novels already (Atonement and Saturday) and despite a few criticisms, I thoroughly enjoyed his writing style and the skill with which he describes a scene with particularity while maintaining a concise and thoughtful word choice. CJ: The only McEwan I’d read before this was Atonement, and while I kind of liked it, I didn’t like it enough that I was super excited about reading Sweet Tooth. I ended up enjoying Sweet Tooth more than I expected—and probably more than I enjoyed Atonement—but it took me a while to get to that point. Sweet Tooth alternately intrigued and annoyed me with the little inconsistencies and weird bits throughout. I want to say I like an unreliable narrator, but I’m not sure I do. While I enjoyed picking out those things that seemed out-of-place or just unlikely (like Serena remembering the exact amount she spent on a chair or quoting verbatim a passage from a book she’d never read), I don’t like feeling manipulated by a writer, and that’s kind of how I feel when there’s something intentionally “off” about a narrator. If you can’t trust the person telling the story, who can you trust? But then there was an element of that for Serena, too—trying to figure out the motives of those around her (including herself) and trying to determine who she could trust. I spent most of the book unsure if the “off” bits were lapses on McEwan’s part or intentional clues to something else. In the end I decided to trust the author, and that was much more pleasant than complaining about every little thing, which was my initial inclination. I wondered at many points just how much McEwan himself was a character in this novel. I did enjoy that “meta” aspect of the novel, when McEwan writes about the relationship between the reader and the written work and how that differs (or not) from the relationship between the reader and the writer. Serena wonders what she’s getting herself into getting involved with a fiction writer. She reads his stories and wonders who inspired the characters and how she might one day show up in Tom’s writing. At the same time, though, there’s some indication that this might be just what she’s looking for, not just in Tom’s writing, but in the novels she reads in general. “I was the basest of readers,” she writes. “All I wanted was my own world, and myself in it, given back to me in artful shapes and accessible form.” And with that, I think McEwan leads the reader to wonder about herself. We learn why Serena reads fiction, and we wonder why it is we’re reading fiction. Or at least I do. Gabby: I agree, there were several points in the novel that give cause for a bit of self-reflection. For me, I alternated between liking Serena, and being frustrated by her actions. I wanted a strong, infallible female lead character (and, if I am being honest, that’s how I would like to view myself as well). Instead, the reader is presented this real, flawed person. And in retrospect, a point of pain for me (Serena’s—to me—weak-minded reaction when presented with an unsavory reality) ends up being a predictor of how I myself have come to think of the book. I, too, was initially annoyed with the ending—the unsavory reality it presented. My knee-jerk reaction was to feel betrayed and stubbornly refuse to like the entire novel. But as more time has passed, I can look back and, much like Serena, accept the unsavory bits as a necessary accompaniment to the savory ones. And maybe, just maybe, embrace them a little as well. Which is, I suppose, another opportunity for self-reflection and observations on life in general. CJ: What did you think about all of the Britishisms? This was definitely one of those British novels that left me wondering at spots if I was confused because the author wants me to be confused or if I was confused because I’m not British. I think there are cultural and historical references that would be less work for someone who’s part of the culture (e.g., I still don’t get the MI5 vs MI6 distinction, which it seemed to be assumed that the reader would get), but for the most part, I enjoyed that they were there. You and I talked about how this was another of those self-conscious, “meta” sort of things. There’s even a part in the novel about how a little reality makes a fiction more believable. Although if I wanted to get existential I could argue that a little bit of fiction makes reality more believable….nah, one philosophical view per book review is my limit. Smart-aleck comments aside, I generally agree that the historical references could be both engaging and distracting. I tend to enjoy history and research, so was grateful for the excuse to delve into a few topics, but found it easy as well to get side-tracked checking the references. The persons and events noted aren’t exactly simple, quick “Wiki-check” kinds of references, and can comprise a whole expanse of reading in and of themselves if left unchecked. Having read the book carefully once and skimmed back through a few times, I am struck with the idea that it could almost be more effectively digested in at least two readings, once to get a rudimentary idea/timeline established and research the historical references for clarity, then again to piece the puzzle together using the information learned from the conclusion. Then I decide that’s a bit more of a time investment than is really necessary; this is the kind of novel to simply read, doing a little research here and there, and enjoy the ride (or, alternatively, curse the driver). What books would like to see Gabby and me review on Sisters Book Club? Let us know in the comments! I’m glad you found the review helpful! It’s the first collaborative review I’ve worked on, and although it was very fun to write with my sister, it wasn’t clear how the review would read to others. I also read your post about Milan Kundera’s The Book of Laughter and Forgetting. I’ve only read The Unbearable Lightness of Being, but I think I might be adding this one to my TBR list, too! I enjoyed this, but not as much as some of his earlier books. I thought he was trying to be a bit too tricksy and I got fed up with him constantly referencing his own earlier stories – all a bit self-indulgent and would be lost on anyone who hadn’t read his entire back catalogue, I felt. Thanks for an enjoyable review! Thanks for the MI5/MI6 distinction! Yes, although I’ve only read two of his books, I suspected McEwan was referencing some of his previous stuff (and perhaps poking fun at a younger version of himself). It was a little bit cleverer than I generally prefer.